A US Navy reconnaissance plane and a Chinese military aircraft had an “unsafe” encounter earlier this week while conducting flights in international airspace over the disputed South China Sea, US officials revealed. According to a statement from US Pacific Command, the US Navy P-3C plane was on a “routine mission” over the waters on Wednesday when it came in “unsafe” proximity with a Chinese military KJ-200 aircraft. “On February 8, an interaction characterized by US Pacific Command as 'unsafe' occurred in international airspace above the South China Sea, between a Chinese KJ-200 aircraft and a US Navy P-3C aircraft,” US Pacific Command spokesman Major Rob Shuford said on Friday. “The Department of Defense and US Pacific Command are always concerned about unsafe interactions with Chinese military forces. We will address the issue in appropriate diplomatic and military channels,” Shuford noted, without adding further details on the encounter. Citing an anonymous Navy official, Reuters reported that the incident took place right next to the Scarborough Shoal, between the Philippines and the Chinese mainland. The official stated that the aircraft came within mere 305 meters of each other. However, he noted that the Navy believes the incident was inadvertent, adding that such incidents involving Chinese and American aircraft are rather rare. Chinese state media reported that the KJ-200 pilot responded to the incident with “legal and professional measures,” quoting an unnamed Defense Ministry official. “We hope the US side keeps in mind the present condition of relations between the two countries and militaries, adopts practical measures, and eliminates the origin of air and sea mishaps between the two countries,” the Global Times cited the official as saying. The Chinese KJ-200 is a propeller-powered early warning and control aircraft based originally on the old Soviet-designed An-12. The P-3C plane is a four-engine turboprop anti-submarine and maritime surveillance aircraft of the US Navy. Two similar encounters took place between US and Chinese aircraft in the area in 2016. 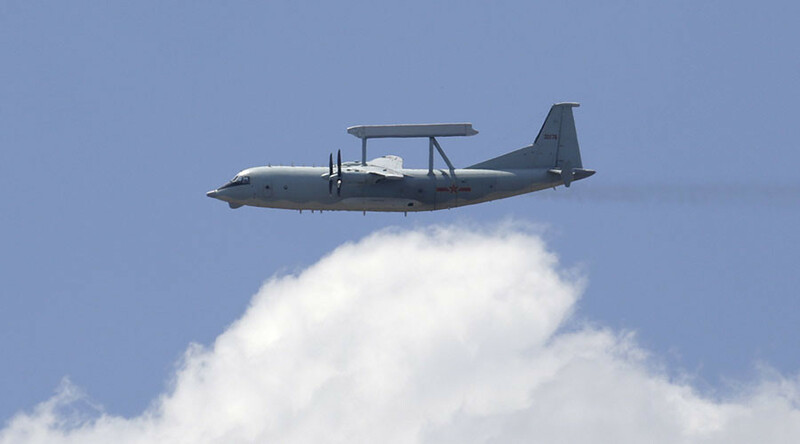 In May, the Pentagon reported that two Chinese fighter-jets intercepted a US maritime surveillance plane in the South China Sea. A month later, a Chinese fighter jet allegedly made an “unsafe” intercept of another US aircraft in international airspace over the East China Sea, where China and the US ally Japan for years have been involved in a dispute over the Senkaku Islands. China has claims on most of the waters in the South China Sea, through which some one-third of the world's shipping sailing passes each year, according to AP, despite similar claims from the Philippines, Vietnam, Malaysia, Taiwan and Brunei. It also claims a number of islands, some more than 800 miles (1,290km) from the Chinese mainland, including man-made islands created by Beijing in the Spratly chain and outfitted with military Chinese infrastructure. 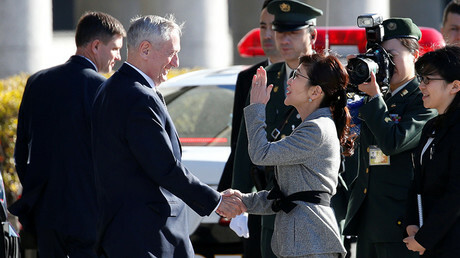 Beijing has been rather suspicious of any US military activity in the area, where it upholds the interests of its ally Japan. The US allegedly does not take a position as to the sovereignty of the waters but has repeatedly called for the right to conduct unhampered “freedom of navigation” in the area, supporting these calls through periodic air and naval patrols that have infuriated Beijing. 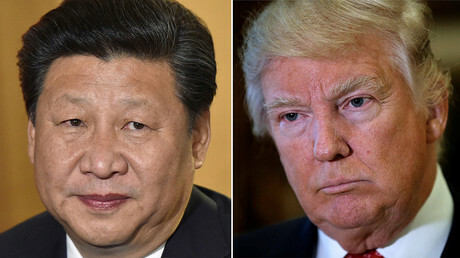 The encounter came only two days ahead of the first phone call between US President Donald Trump and Chinese President Xi Jinping, which took place earlier on Friday. It is not yet known if the conversation touched on the South China Sea issue. However, it was recently raised by Trump’s chief strategist, Steve Bannon, who said last year that the current dispute may result in a US-China war within five to 10 years.